In 2013, the National Center for Family and Marriage Released a surprising study that showed divorce rates between adults 50 and older have doubled between 1990 and 2010. Now, 1 in 4 divorces in the United States are between couples over 50. On some level, this is good news. It means that the lower stigma of divorce has allowed unhappy couples to break out of empty marriages. This is also a sign that women feel financially secure enough to cut the cord. However, divorce can have a profound financial impact on a woman and affect her ability to retire on time…or at all. 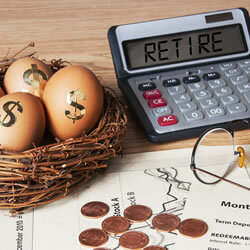 How will divorce after 50 affect your retirement plans? Women tend to earn less money than their male counterparts. Many women seek jobs in lower-paying fields (like teaching), work fewer hours, voluntarily drop out of the workforce to raise children, and take slower paths up the corporate ladder to achieve better life and family balance. While young women are making impressive gains in closing the pay gap (women 16 to 34 earn 90% of what men are paid), women ages 35 to 64 still earn 77 – 80% of the income of their male counterparts even when working in the same positions. This represents a woman’s primary earning years, meaning that by the time she enters retirement, she has likely been able to save less money for her retirement. Less savings means less growth in a retirement account and a much lower bump from the power of compound interest. For many married couples, their home represents their greatest asset and can act as a piggy bank for equity if they happen to need more money in retirement. During a divorce, a woman may lose her home or be forced to sell. (Learn the pros and cons of Keeping Your House After Divorce.) Now on her own, she may have trouble affording a home and be forced to rent or to stay with adult children. That means that she won’t have a valuable asset to sell or refinance in retirement or the option to free up equity through a reverse mortgage. The home represents the largest example of a big cost that is typically shared by a couple. However, there are innumerable examples of other costs that a woman will have to shoulder on her own after a divorce. She will have to pay for all of her utility bills, all of her food, and all of the normal household disposables like laundry detergent and toilet paper on her own. These costs truly add up and can make it even harder to put a little extra into the retirement account after a divorce. For many women over 50, divorce represents a new lease on life and an exciting journey into the future. However, it may also mean that they have to adapt to a different lifestyle and pinch pennies a little more. Women who are planning a divorce should always speak with a financial advisor to start planning for transition into a single life. Be sure to speak to your financial advisor about your retirement goals and work together to see what you need to do to keep your retirement planning on track. If at all possible, seek an amicable divorce with your spouse. If you can be civil (even if it’s hard), you are more likely to agree on how to split your assets and avoid costly court battles and sky-high attorney’s fees. (If your divorce is contentious, then check out this article on Six Places to Look for Hidden Assets During Divorce.) Lastly, seek alimony if possible, especially if you left the workforce to care for your kids. The best way to prepare for your divorce is to attend a Second Saturday Workshop. Find one in your area today! Can you advise. I have been married 22 years and am now divorcing my husband. he has not paid any household bills in about 10 years and has been working on a business since then. But now at retirement he wants me to split my retirement . I don’t think its fair he has not supported us and I have a lot of debt that initially I told him I would pay myself he could just walk away. Would a judge ever look at who gave the most monetarily? The laws of each state are different. In some states, everything earned and spent during the marriage is considered marital, so it doesn’t matter who made what or spent what. In other states, it may make a difference. Check with an attorney familiar with the laws of your state to see what your state provides.